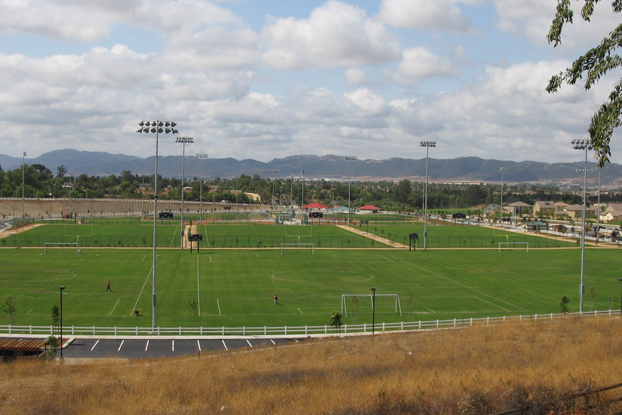 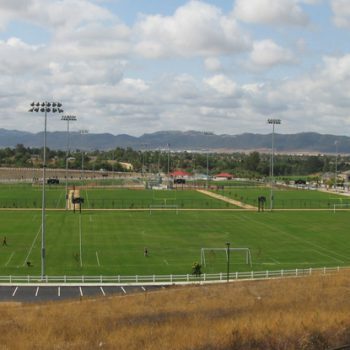 Los Alamos Hills Sports Park brings a first-class sports complex to the growing communities in the City of Murrieta. 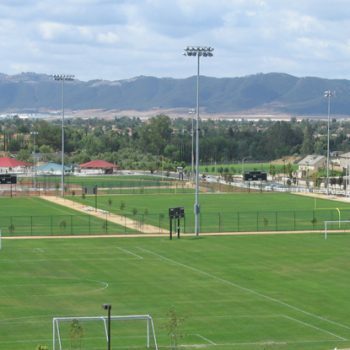 Griffith Company provided its expertise and specialty crews to construct the 46-acre park which showcases football, soccer, baseball, and softball fields with top-notch drainage and state-of-the-art irrigation and lighting. 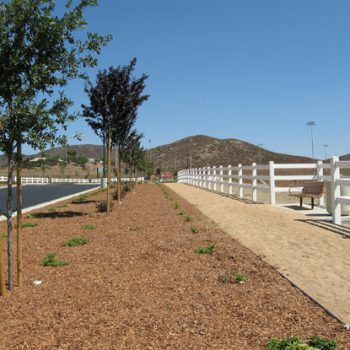 In addition, in keeping with the City’s historical equestrian focus, we placed miles of rail-fenced, decomposed granite horse trails. 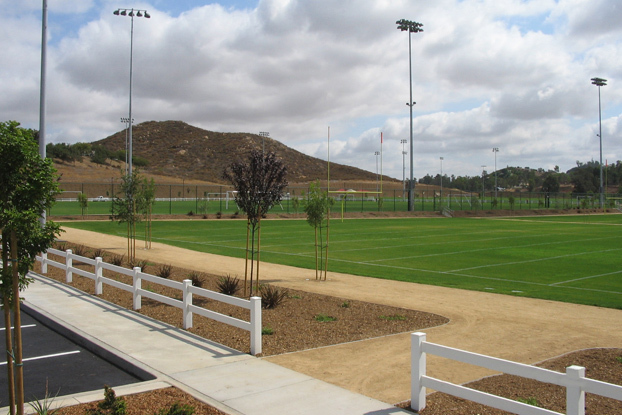 Our grade crews excavated and filled over 33,000 CY, and in the process blasted and removed rock and cobble to maintain a rock-free surface. 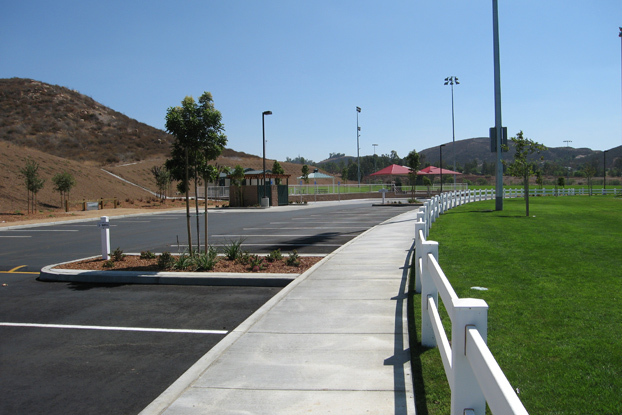 Our underground crews installed 5,000 LF of storm drainpipe, 2,550 LF of sewer lines, and a new sewer lift station. 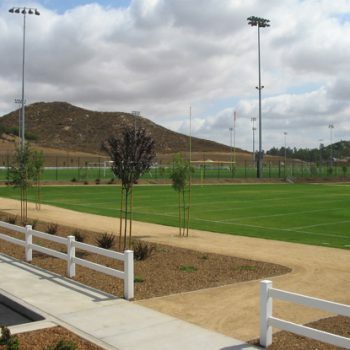 To ensure outstanding surface drainage for the play fields, our landscape team installed a Multi-Flow Sub Drainage System that incorporated over two miles of unique perforatedfilter pipe with special permeable bedding. 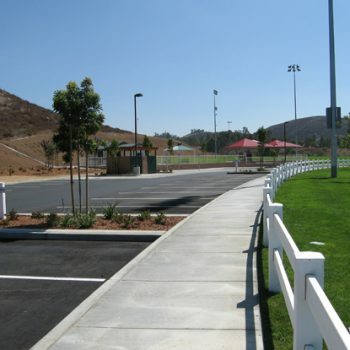 To enhance the sporting experience, the Park includes restroom and concession facilities, “Tot Lot” play structures, shade shelters, picnic tables and other site furnishings. 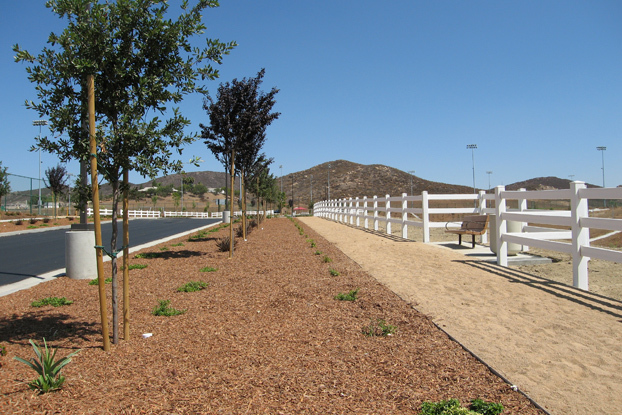 And in an effort to increase natural habitat, our landscape crews created a 7.6-acre wildlife mitigation area with native plant life and a low impact irrigation system. 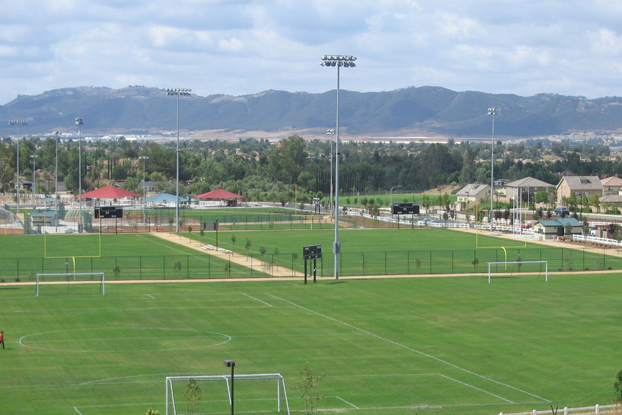 The local community and the local wildlife each have a new place to enjoy!